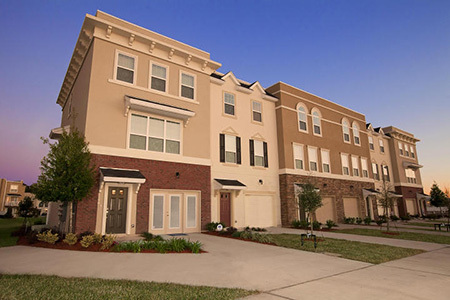 Georgetown townhome community in Jacksonville, Florida. Imagine living in a community with an urban flair, shopping and restaurants are within walking distance, the movie theater is just minutes away and, to top it all off, you have a lake view from your first- and second-story lanais. 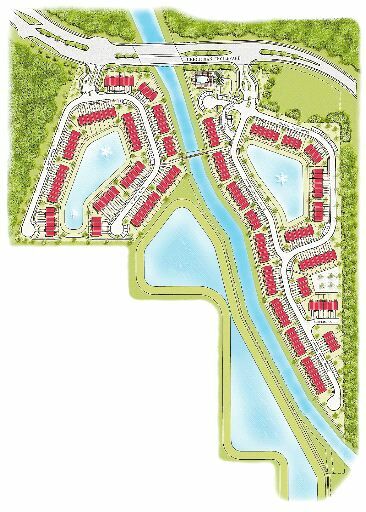 Now imagine that community located near the St. Johns Town Center, the newest and first �lifestyle retail center� to come to Jacksonville. 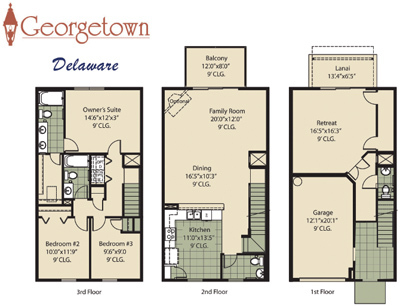 Welcome to Georgetown, a community whose architectural style has a Southern twist that re-visits the American colonial style, similar to homes in Boston and Washington, D.C. suburbs. The community is a new living concept for Jacksonville and will be a premiere town home community geared for buyers with an urban flair attracted to living near shopping, restaurants, and entertainment venues. View site map here. The proximity to the new St. Johns Town Center provides access to all of this, as well as being close to large corporations and quick access to J. Turner Butler and Interstate 95 for a quick drive time to many Jacksonville locations. Central to Jacksonville, homeowners truly would live at the epicenter to all that can be offered in dining, entertainment, shopping and working. 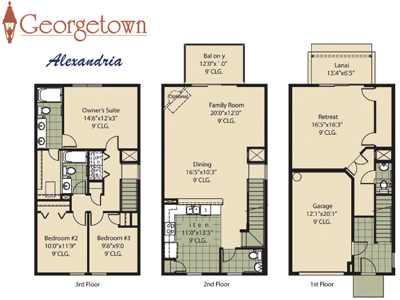 In addition to its great location, another benefit of living at Georgetown is an amenity center that includes a swimming pool, cabana and fitness center. It also features three beautiful lakes and a quaint canal running through the center of the community, with a pedestrian bridge connecting both sides. 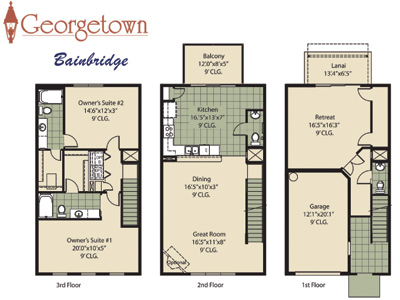 The community will consist of 192, three-story units, which are available in a two bedroom, three bath layout or a 3 bedroom, 3 bath layout. 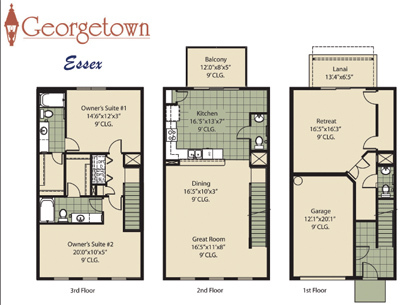 All floor plans are 2,133 square feet. The three-story floor plan provides advantages of extra storage, separating bedrooms from living areas giving added privacy and quiet space, and adds a retreat area that can be used for a media room, game room, office or a guest bedroom. The air-conditioned retreat area located on the first floor, next to the garage, has special features like a half bath, outdoor lanai and a French double door entrance. Please call or email me today for updated pricing and availability. I will represent you at no charge!